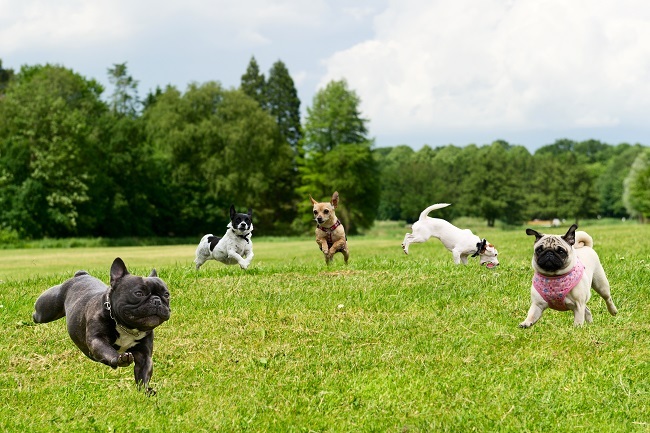 Dog Walker V. Dog Daycare: Which is Right For You? Home / Blog / Dog Walker V. Dog Daycare: Which is Right For You? Everyone has to work, and some have to work longer hours than others. When this happens, you are faced with a choice for the dog you are leaving alone. You can either hire a dog walker to give them exercise and a potty break or you can take them to dog daycare for the day. However, while the services seem fairly similar, they are not, but which one is right for you and your dog? Does Your Dog Interact Well With Others? Some dogs are a little finicky when it comes to who they socialize with. If your dog doesn’t get along well with other dogs, it may be better to choose a dog walker for individualized attention. However, if your dog is a social creature, they could thrive in a daycare setting. Does Your Dog Do Well Alone? Dogs, particularly those with even mild separation anxiety, don’t do well when left alone. They can damage your house, and more importantly, damage themselves. Even a dog walker’s attention is not enough for them. In fact, it may trigger a worse reaction. However, a dog daycare facility could help. How Set Is Your Schedule? The real benefit of a dog walker is they can come any time. However, all dog daycare facilities have set pickup times. If you can’t regularly make these pick up times or find someone that can, it makes taking your dog to daycare a little difficult for everyone involved. However, most dog daycare times are set in a fair manner. It is not like you need to rush to pick your dog up right away at five o’clock or risk trouble. Hopefully the above helps answer if your dog will do well in dog daycare or if they are better suited for a dog walker. In most cases, dog walkers are great for reclusive dogs or those with unpredictable schedules. However, there are a lot of benefits to dog daycare otherwise. If you are interested in dog daycare services in Houston, contact us today.